Opt for a contemporary feminine style with the Mesmerize Dress, part of High’s SS19 collection. 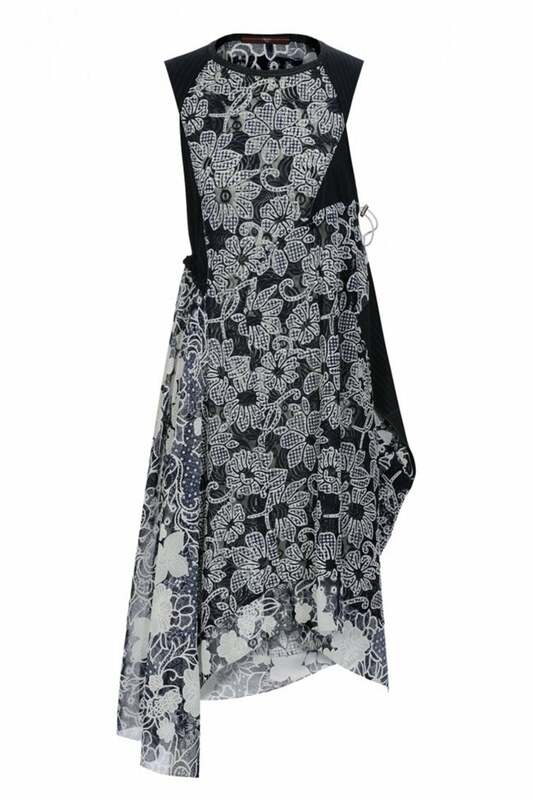 This striking piece has been intricately crafted from a technical sensitive jersey with a contrasting floral lace and net insert, which runs down the front and at the lower back of the dress. The dress gathers at the sides to create a statement silhouette, style yours with an effortless black leather sandal and oversized shopper for a striking summer look.